Welcome To Enjoy Irish Culture! On this website we hope to get you as excited about everything that is Irish culture as we are. Follow us as we show you that Ireland is fun, Ireland is magic, a very easygoing place that welcomes visitors and those who come to stay to live. We, Colm and Susanna, live in the West of Ireland, in Galway, near the Atlantic. We have explored Ireland inside out over the years and as an artist couple who paint Irish landscapes, we have a strong interest in Irish culture past and present. We want to share with you some of those things we love. 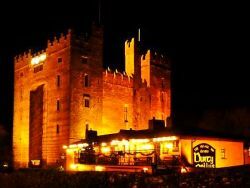 Let us show you the sides of Ireland that we love- a country that is stuffed with heritage sites such as Irish castles, medieval monasteries and ancient sites to marvel at. Please take a moment and take our visitor survey! Your opinion is important to us! A country, that to this day is alive with traditional Irish music and song. We believe that Ireland is simply the best place to live and one of the best places anywhere to visit. All over this beautiful country, there are so many places worth visiting, all steeped in history. Most of those what we show you here, you will not find in any guide book, nor will you find the detailed information we provide about them anywhere else. The world-famous Cliffs of Moher, Ireland. Ireland's culture has spread around the globe. Irish music, for example, is being played today in places as far away from Ireland as Tokyo and Berlin! And most cities around the world will have an Irish pub. 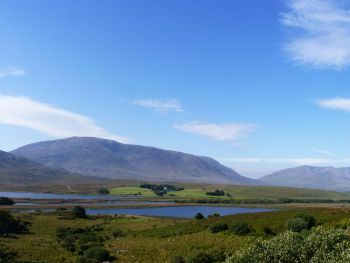 Connemara mountains in County Galway, Ireland. We are a young website yet, so come along often and watch us grow! We hope to bring you the very best of Irish culture, our own personal favourites that we love. Come by often and learn something new about Ireland every time! After reading some of our articles on this website, maybe you will come and visit us here, some day. 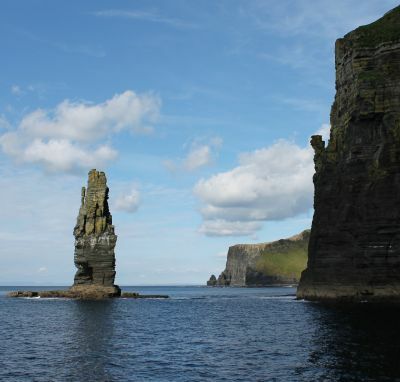 If you are planning to visit, make sure to check out the section on travel in Ireland. 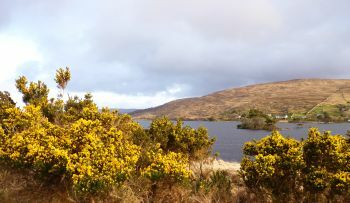 You will find ideas to enrich your Ireland vacations. But even if you are never going to make it here, there are things for you to do on this website. 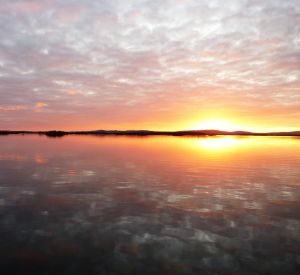 Sunset on Lough Corrib at Annaghdown, County Galway. Find out about the real Ireland. Keep in touch with what’s new by subscribing to our ezine, or our blog. Like our Facebook page and access fun bits of information that way in your news feed. Look below for links to all our other social networks, Twitter, Pinterest and Google+ and follow us on your preferred site. Or simply drop us a line using the contact form and let us know how you are enjoying this website! Would you like to contribute to this website? We are open to your contributions. Just contact us through the contact page and we'll be in touch to discuss your ideas! Warmest regards from Com and Susanna.